COMBAT DIGITAL EYE STRAIN. BE MORE PRODUCTIVE. Computer glasses to help combat digital eye strain so that you can work longer in your executive work. 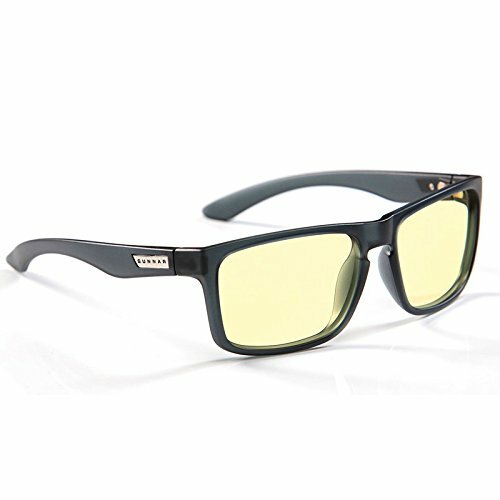 Gunnar’s patented computer lens technology solution, recommended by doctors, protects and enhances your vision, alleviating issues associated with digital eye strain, effects of artificial blue light, visual stress and fatigue. Specially designed to reducing dryness and irritation to the eye, the lens also pre-focuses the light allowing the ciliary muscles to relax while details become sharper. The lens material itself doesn’t compromise on clarity, color control, durability or impact resistance, meaning you can see crystal clearly, and filters blue light as well as blocking UV light to enhance contrast and protect your eyes. With a special anti-reflective lens coating, your eyes can focus more efficiently, minimizing the amount of work your eyes perform to focus on a task. Over time, you will see that using these computer glasses, will enhance productivity and energy levels, promote concentration and learning. Gunnar is the only patented computer eyewear company that is recommended by doctors and is the world leader in computer eyewear. Say goodbye to eye strain today!